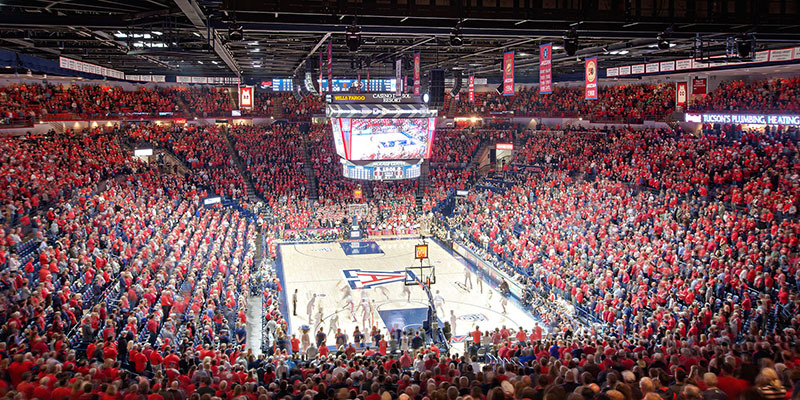 The original approved $80 million project for the improvements at the McKale Memorial Center will be moving forward as phased projects. The first phase will be a $29.9 million project that consists of two parts. Project 14-9222 has been identified for equipment procurement and installation of the wood gym floor and arena seating. Project 13-9191 consists of aisle tread improvements, hand railing, additional ADA platforms, locker room improvements, a vertical circulation tower (stair and elevator), additional restrooms and concessions at the concourse level.